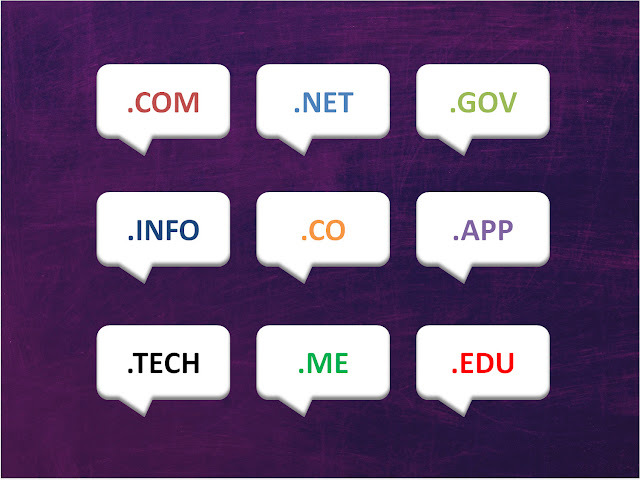 Meta: Choosing domain names plays a crucial role in the development of websites in particular and businesses in general. We hope that the following top domain registration websites will help businesses make right decisions for their firms. Businesses’ owners know the importance of choosing suitable domain names for their websites. So which are top domain registration websites for businesses? Domain registration websites offer similar available choices, which may lead to boredom among users. However, some websites provide services which are suitable for companies’ need. We would like to introduce five among the top domain registration websites for businesses. Established in 1979 and now known as Web.com, this is one of the longest-lasting domain providers worldwide. While other websites offer such services as web hosting, web design, and online marketing, this website mainly provides domain registration services and it has proved to be one of the best domain registration websites at present. Pros: The most unique feature of this website is perhaps its certification issuance system. This feature allows customers to buy domain names quickly. Network Solutions supervises the domain name trading process without revealing customers’ personal information. So it is very safe and convenient for customers. Besides, the firm offers domain-related utilities with various choices, including “to-be-launched” expanded utilities. The firm has also launched a club of customers and offered a discount of 10% for each member when they buy freshly-launched top level domains. This domain registration website is known by many people, with over 12 million domain names worldwide. 1&1 is regarded as one of the best domain registration websites for businesses owning many domain names or usually adding/changing domain names. Pros: 1&1 is a highly-competitive website in terms of prices as it offers domain registration services at only $0.99 each. Besides, it has an easy-to-transfer domain registration process. Customers just need to implement several steps set by the firm to transfer their domain names to 1&1 from others. Moreover, it offers mobile apps for domain registration, which allows customers to manage their domain names, register for new domain names, and others. Customers are also provided with 700 domain name expansion features. Cons: 1&1 is considered a perfect choice for customers knowing well about web, but it seems to be unfriendly with others. Besides, some customers have complained about its automatic domain name transferring feature as it does not expand their expired credit cards while they have to pay lateness costs instead of stopping using the service. Another popular domain registration website is name.com, which has a modern, clear, and friendly design and easy-to-search interface. Pros: This website’s interface helps customers search for their wanted domain names quickly to determine whether the domain names have been registered or not. Besides a list of over 1,000 expired domain names, this website also allows customers to add domain names into the “watchlist” and order new domain names easily. If you have been recently concerned with a domain name, you can pay Name.com a certain fee, the website will get it for you as soon as it appears. It also offers a mobile app for security via Verisign’s app named NameSafe. When customers log in their accounts, they must type supplementary passwords along with users and corresponding passwords, which prevents hackers from attacking customers’ accounts. This website also offers competitive prices starting at $10.99 per year. Cons: The biggest disadvantage of Name.com is its limited time of customer assistance at their offices. The firm offers customer support services between 8 a.m. and 8 p.m. from Monday to Friday at offices, and between 6 a.m. and 8 p.m. of all weekdays. GoDaddy has enhanced their reputation in the market as one of the leading domain registration firms. The firm provides domain registration services at $6.99-$12.99 for top level domains. Pros: GoDaddy provides customers with a series of free supplementary features including a one-page website, an e-mail account, domain forwarding, domain name system control, and domain name block. Besides, it offers a unique feature named GeoDomainMap, which allows customers to direct their target to detailed areas and register for suitable domain names for these areas. GoDaddy also provides a supplementary feature for customers wanting to register for international domain names with domain names available in over 100 languages. The firm also offers big discounts for customers registering for many domain names. Cons: One of GoDaddy’s disadvantages is their efforts to introduce supplementary services and persuade customers to upgrade services. Although it provides various free services in the domain registration process, it also offers many “upgrades,” which will be immediately transferred to the examination process. Besides, GoDaddy’s own settings are quite costly. It also suffered such scandals as the use of unsuitable advertisements or the attack into DNS in 2012, which made many customers attacked by ransomware. The scandal made the firm lose many of their potential customers. Despite being a new name in the market, Namecheap.com has soon built their reputation. Although the fee for domain registration on Namecheap.com is around $10.7, the firm claims that their customers may register for domain names at a minimum of $3.98. Pros: Namecheap.com has a clear and friendly interface which allows users to redirect easily. Namecheap.com is regarded as the best domain registration websites for small businesses as they use CloudFare - a service reducing pressure on servers when accelerating speed for websites. With CloudFare, web storage is routed via an international smart network and web supply is automatically optimized. Namecheap.com’s storage feature is also a plus point, especially for those interested in hosting and domain of the same provider. Cons: Namecheap.com has yet to have a customer support hotline. They have provided customer assistance services via e-mail, but it will be better if these services are offered directly via hotlines. There are hardly differences among top domain registration firms. However, each of them has their own unique ways to differentiate their services from their competitors’. As businesses’ owners, customers need to carefully consider to make the best decision.